Description: Monitor network hosts, shared resources, traffic, get MAC-addresses, scan TCP and UDP ports, and be notified when devices turn on or go down. 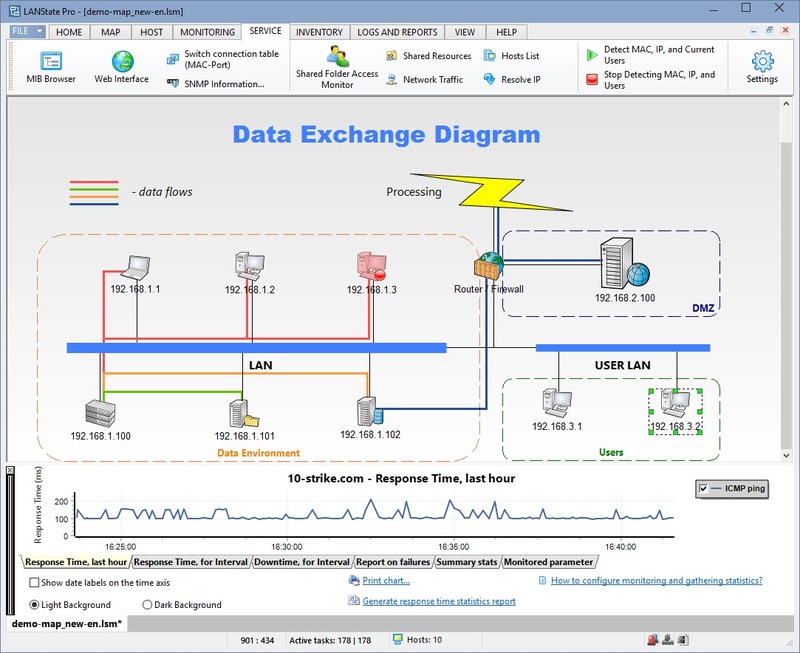 Create network diagram and see your network's state in vusial form at any time. LANState contains many tools for administrators and users such as sending messages, shutting down and turning on remote computers, ping, name lookup, trace route, obtaining information on remote hosts, creating reports, etc. Description: 3uTools is one of the most efficient data and files management freeware apps for iOS which can be downloaded free to your PC and allow you to manage the files on your iOS device through a USB cable. It will make you easy to manage apps, photos, music, ringtones, multimedia files, tutorials, data and other files on your iPad, iPhone and iPod Touch.3uTools download process is very easy and download it from here with a few clicks.